Well that figures.. – Where Is My Teaspoon? Not everything has to be complicated and when I have days where things have ran away from me (last weekend being a perfect example) I like to make scones. Scones have always been one of my favourite things ever to eat. Sometimes I wonder how many scones I have bought in my life from cafes and get a little alarmed at the thought. When I did my undergraduate degree there was a cafe in Maynooth called BonBon and I swear I used to go non stop for their scones with raspberry jam and I think they were like..€3.50 each or something mental. I used to constantly try and guess what made their scones different, besides the very generous dose of icing sugar they put on top. In the end, I think I thought it was either coconut or cream but haven’t been back there in years so can’t be sure. When I dream of my own cafe, I always see scones on the counter. 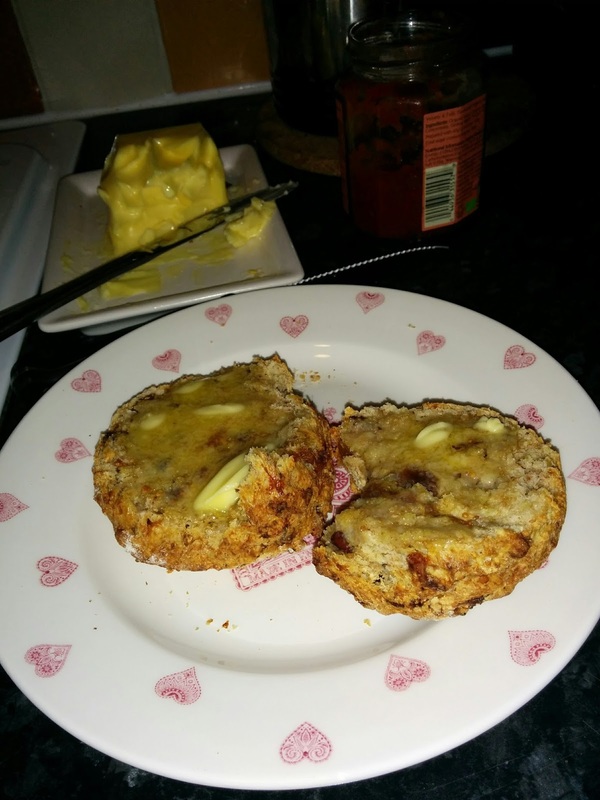 Scones are great for trying out new flavours as they are quick to make and easy to adapt. Last weekend I made these bad boys, Roasted Walnut, Fig and Cheddar Scones. Are you beginning to see a theme of roasted nuts..? 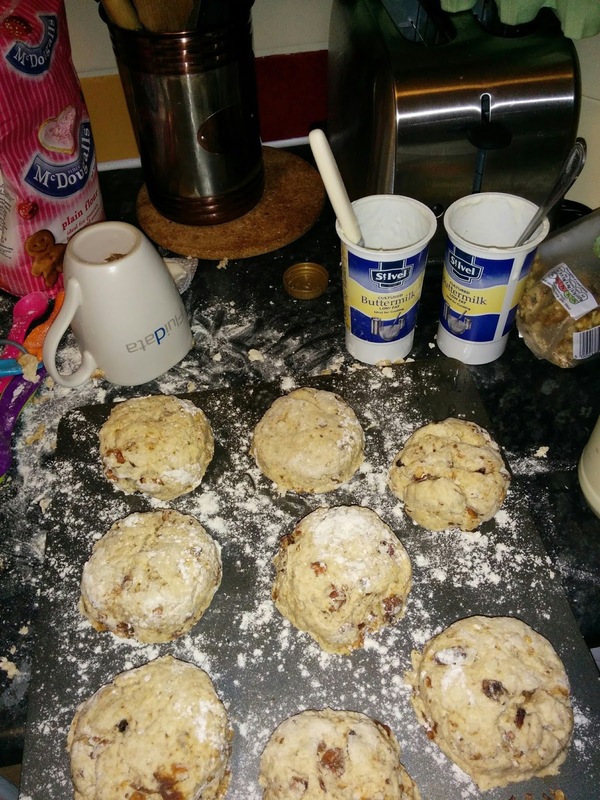 Scones always need a very hot oven so whack it up to 200 degrees and line your baking tray with paper. Lay out the walnuts flat and bake for 10 minutes. Leave aside to cool slightly and then chop roughly along with the dried fits. Weigh the dry ingredients into a big bowl, followed with the roasted nuts, dried figs and cheese. In a jug, mix the buttermilk and egg together. Pour into the main bowl and mix with your hand until it forms a dough. Don’t worry if the dough seems a little bit tough – it will be the wholemeal flour. Knead very lightly and cut into desired shapes and sizes. Bake in the oven for 10-15 minutes and cool on a wire tray. I like these just with butter but feel free to add some extra cheese and a big bowl of soup! Delicious and nutritious too and a great treat when you’re trying to cut out added sugars. Next Post Banana Bread Recipe.